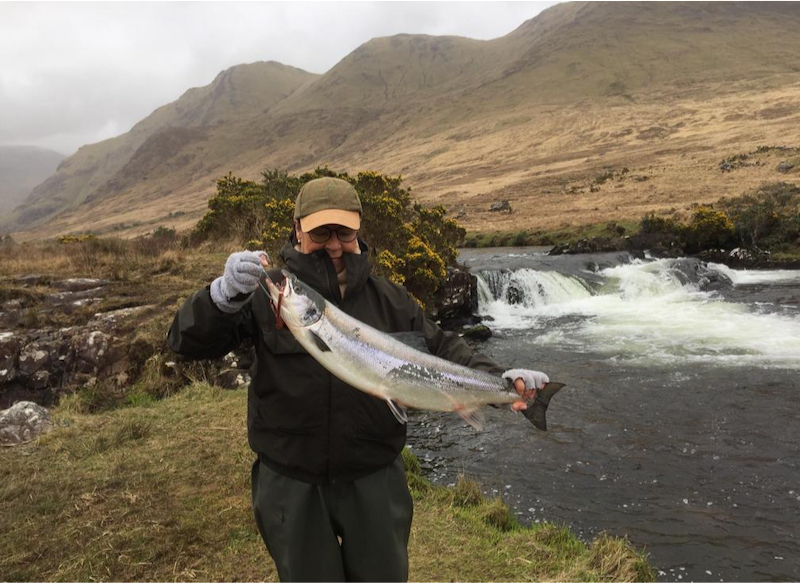 We finished up with 21 fish landed here at Delphi for March, which is slightly down on last year but still well above our 10 year average of 16. Five fish have been landed since my last update. Fishing had slowed down a bit but this was mainly as a result of lower water. March was quite wet, with 350mms (13.77”); all of which bar 3mms fell up to the 21st. 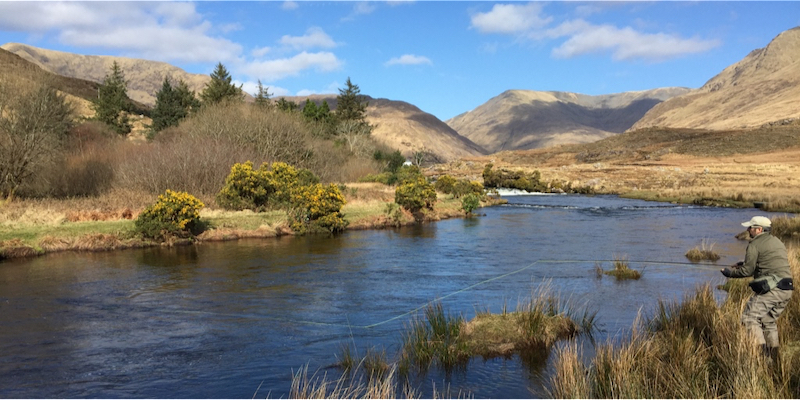 Water levels have dropped off dramatically since and the river is now at 15, although it is raining at the moment, and there is more forecast for the next few days. We’ll just have to wait and see how much!! Our Swedish group did manage to land one fish for their week and they met quite a few more. 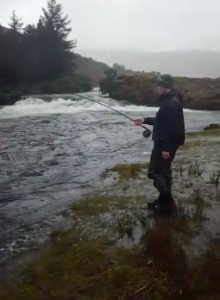 There was also a fish on the bank which slipped back into the river and you all know what happened next! Thomas Dehlin, had a fish off Finlough of 7lbs on a McLeod. We then welcomed our experienced Week 13 group who have been with us for many years. They managed to land four fish. Yvonne had two, one from the Rock Pool of 8lbs6ozs on a Snaelda and the second of approx. 7lbs from Salmon City on Finlough on a Delphi Collie. 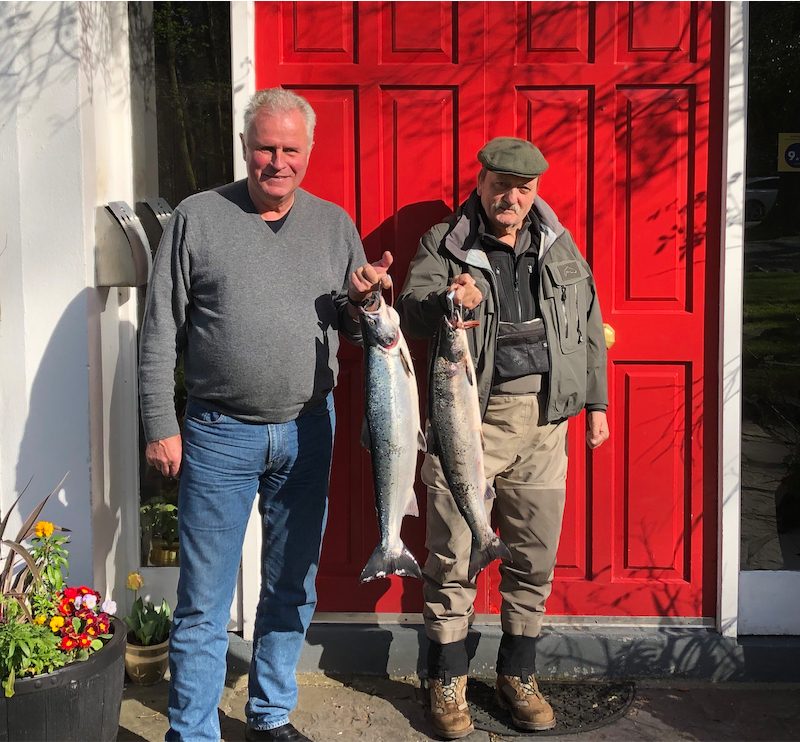 There were two off Finlough on the 27thwith Fredo having one of 8lbs on a Collie Dog and Holger Peres the other of 8lbs7ozs on a Delphi Collie.